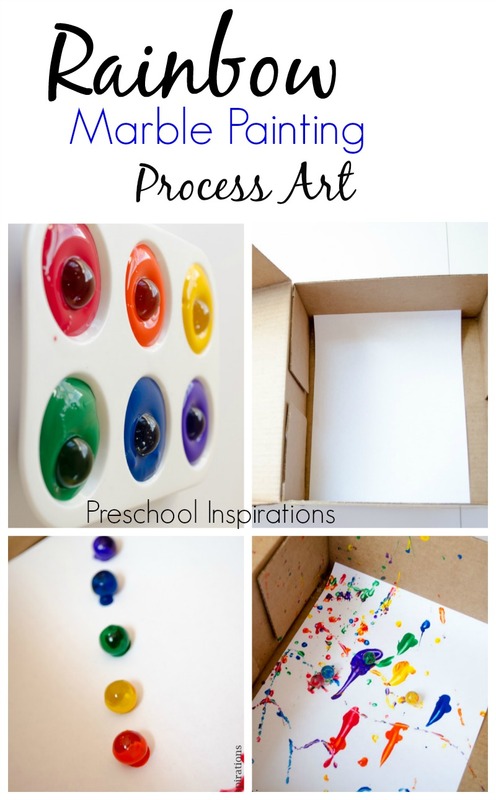 Are you ready for a simple process art activity that turns out beeeautiful? 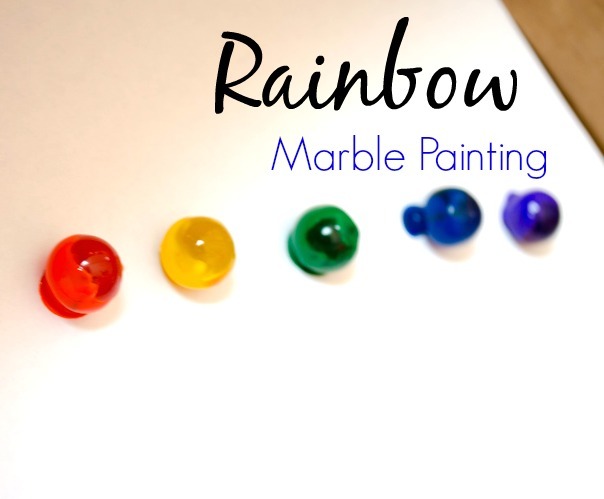 This week we did a rainbow marble painting process art activity, and it reminded me why I did this every month when I was a toddler teacher. It’s just so much fun! 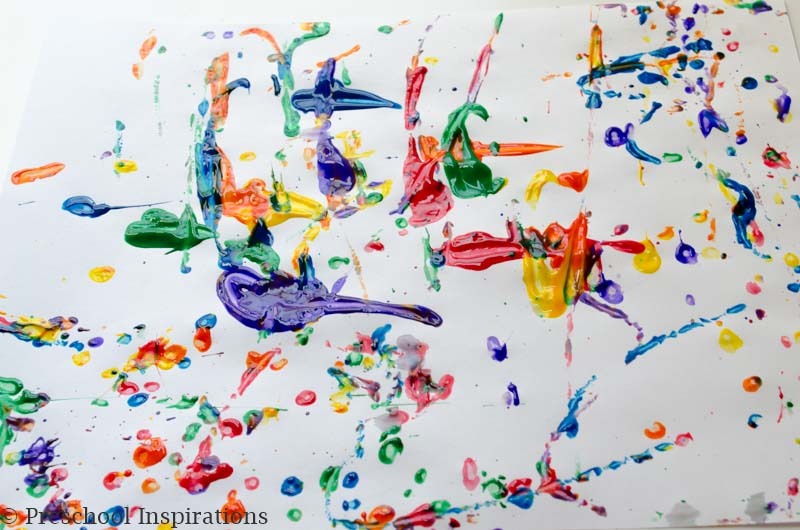 Children love using marbles to paint, and the process of painting with them is amazing. 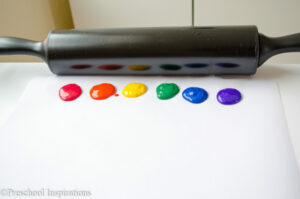 If you are doing a rainbow theme, you are in luck! There are 20 more rainbow posts at the bottom of this one! The first time I heard “marble art,” I had no clue what to expect. When I first saw it, I decided it was one of the most beautiful art projects ever. Marble art is where you put marbles, covered in paint, into a box. Then you shake them up. You will never get the same result twice! It’s always a surprise when it comes time to open the box. Here are all of the steps for you to see. Step 1: Put marbles into the paint. We use paint from Discount School Supply, but I’ve heard Crayola is amazing as well. Step 2: Put a sheet of paper into a box with a lid. Ours is a corn dog box from Costco. They have so many like this. Any box would do though! Step 3: Put the painty marbles into the box. It’s super fun to just drop them in! Step 4: Shake the box, getting the marbles to roll in any direction. Step 5: Rinse the marbles in the cup of water. Pat them dry, and repeat. Be warned though! 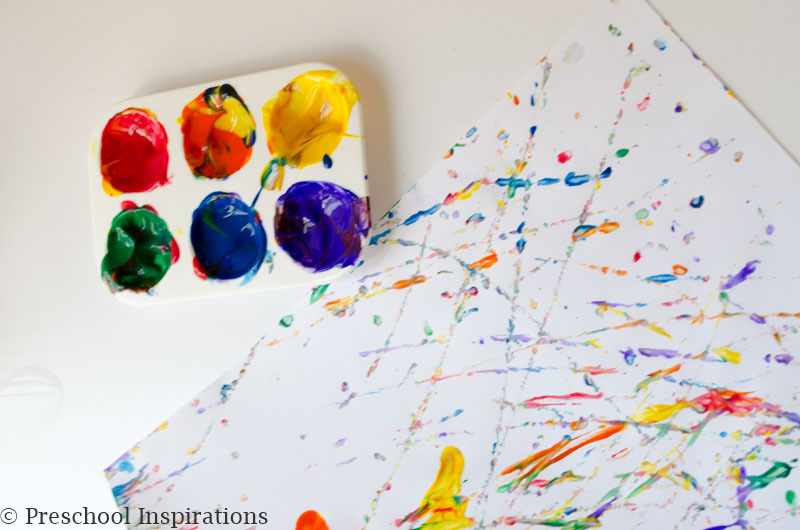 This rainbow marble painting process art activity is super addicting!! We did it for days! 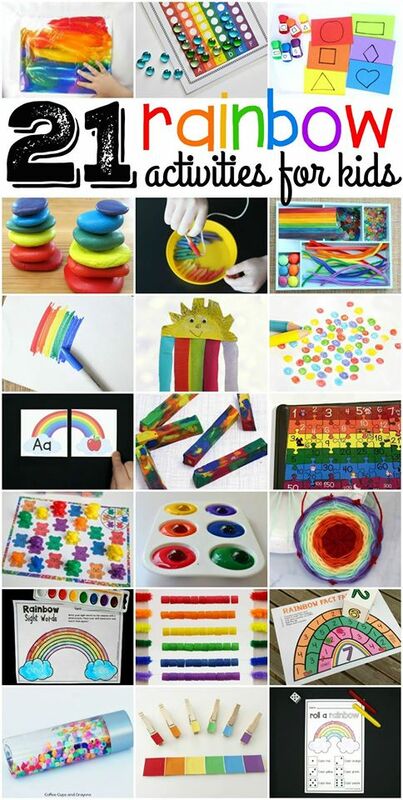 Now on to MORE amazing rainbow activities!